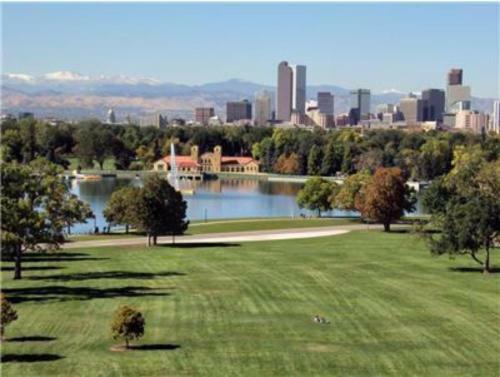 Find hotels in Denver, CO and other fun things to do. View our list of attractions, activities, events, restaurants and visitor information. Currently as low as $109.25/night! 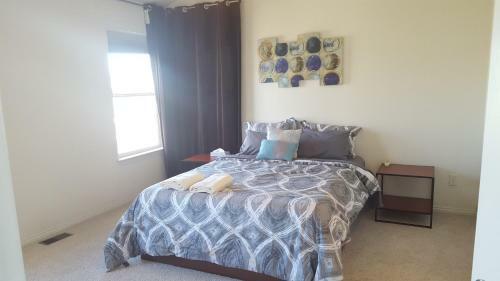 1 BR Apartment in Highlands - HI12 is an accommodation situated in Denver 1.7 km from Pepsi Center and 2.9 km from Colorado Convention Center. Guests staying at this apartment have access to free WiFi and a fully equipped kitchen. Free Internet, Non Smoking Rooms. Currently as low as $64.71/night! Free Wi-Fi an on-site restaurant and complimentary shuttle service to area transit stations enhance a visit to the Mile High City at the AAE 11th Avenue Hostel. The low-rise AAE 11th Avenue Hostel houses 68 simple modern rooms for the budget-minded guest. Free Internet. 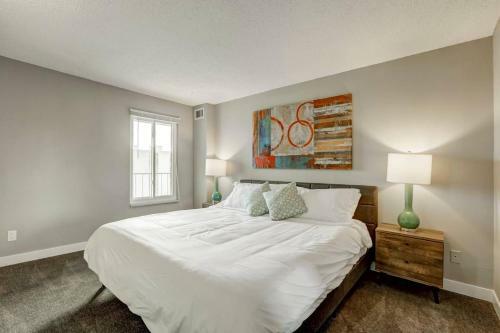 Situated in Denver 1.2 km from Pepsi Center 1850 Chestnut Place Apartments features accommodation with free WiFi and access to a fitness room.A kitchen with a dishwasher a microwave and dining area is included in each of the air-conditioned units. Restaurant, Non Smoking Rooms. Currently as low as $392.50/night! 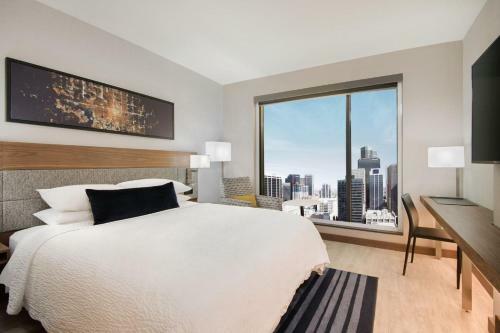 311 Bannock St #AC enjoys a location in Denver just 2.4 km from Colorado Convention Center and 3.3 km from Pepsi Center. Free WiFi is available in the holiday home set 1.8 km from Colorado History Museum. Non Smoking Rooms. Currently as low as $174.00/night! Rooftop dining free Wi-Fi and a stellar central locale steps from the Colorado Convention Center await guests at the non-smoking AC Hotel by Marriott Denver Downtown. Pets Allowed. Year-round swimming well-equipped rooms and a central spot near the trolley and convention center attract guests to the non-smoking Aloft Denver Downtown. Free Internet, Swimming Pool, Indoor Pool, Restaurant, Pets Allowed, Non Smoking Rooms. 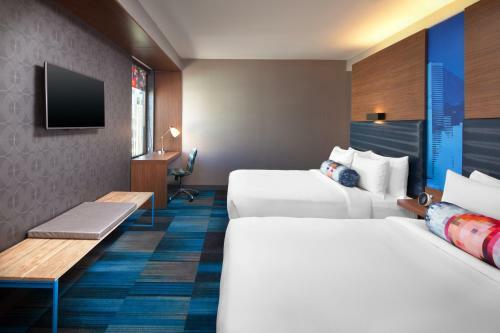 Stay in your element with modern design free high-speed internet access free breakfast flat-panel TVs and ergonomic furniture GÇö not to mention a free airport shuttle and Park-and-Fly GÇö at the non-smoking Baymont Inn & Suites Denver International Airport. Free Internet, Swimming Pool, Free Breakfast, Non Smoking Rooms. Currently as low as $95.19/night! A fitness center indoor pool complimentary continental breakfast and free parking make the non-smoking Best Western Brighton Inn an attractive option for our guests. The low-rise property is entirely non-smoking and offers 52 inviting rooms and six suites. Free Internet, Swimming Pool, Indoor Pool, Pets Allowed, Non Smoking Rooms. Currently as low as $127.49/night! The pet-friendly non-smoking Best Western Plus Castle Rock provides free Wi-Fi complimentary breakfasts and an indoor pool. This Best Western has 70 non-smoking rooms with free Wi-Fi and cable TVs microwave ovens mini-fridges coffeemakers and hairdryers. Free Internet, Swimming Pool, Indoor Pool, Pets Allowed, Non Smoking Rooms. Currently as low as $109.48/night! The snack shop operates 24-hours-a-day at the Best Western Plus Denver International Airport Inn & Suites where our guests will also find an indoor pool free breakfast and complimentary internet access. Free Internet, Swimming Pool, Indoor Pool, Pets Allowed, Non Smoking Rooms. Situated in Brighton Big Groups 20 Min to DIA features air-conditioned rooms with free WiFi. A hot tub and a car rental service are available for guests. The rooms come with a patio with views of the mountain. Non Smoking Rooms. Currently as low as $236.36/night! 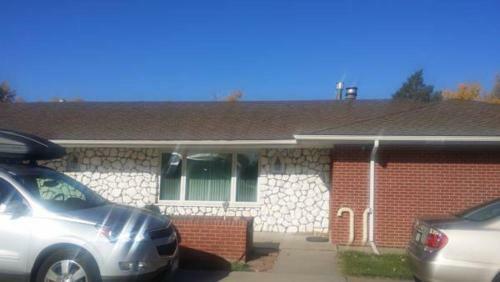 Located 6 km from University of Colorado Hospital Bright and large house in Denver in Aurora provides rooms with air conditioning and free WiFi. 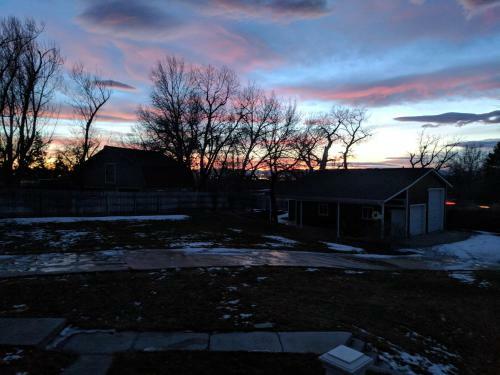 The property is set 7 km from Children's Hospital Colorado. The rooms have a patio with views of the garden. Non Smoking Rooms. 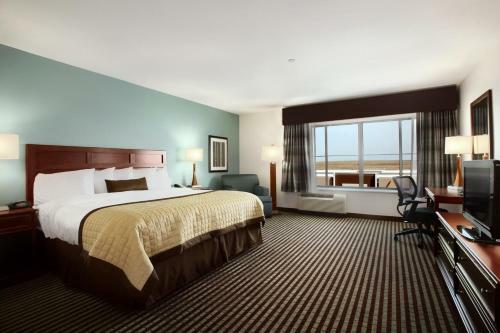 Free airport shuttle service and complimentary Wi-Fi at the non-smoking Cambria Suites Denver International Airport/Aurora please our guests who rate this hotel as one of the best in the city. Free Internet, Indoor Pool, Restaurant, Non Smoking Rooms. When you need some extra space the non-smoking Candlewood Suites Denver Northeast - Brighton delivers. 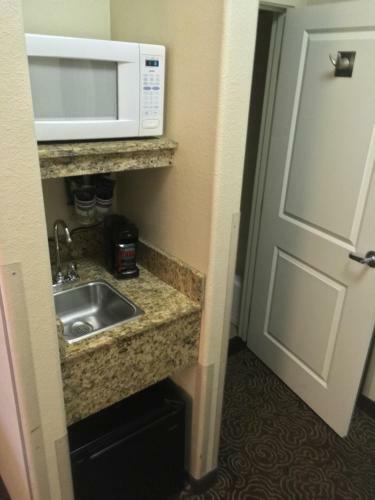 Well-designed kitchens come in handy as do complimentary internet connections and private parking. Free Internet, Pets Allowed, Non Smoking Rooms. 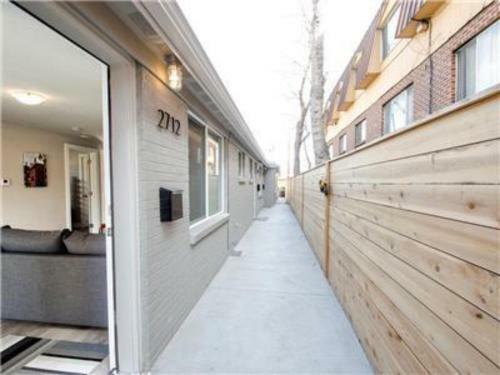 Just 1.9 km from Colorado Convention Center and 900 metres from Molly Brown House Capitol Hill One Bedroom features accommodation in Denver with a fitness centre. Guests staying at this apartment have access to a fully equipped kitchen.The apartment is fitted with a TV. Featuring air-conditioned accommodation with a balcony Closest Toke Place to DIA is situated in Brighton. This homestay features a shared kitchen and free WiFi. Non Smoking Rooms. Our guests can enjoy a free hot breakfast parking and Wi-Fi at Comfort Inn & Suites Denver located just minutes from The Shops at Northfield Stapleton. Free Internet, Pets Allowed.